When most people think of Alaska, they picture its thick forests, hulking grizzly bears and soaring, snow-covered peaks. What they might not imagine is rockets whisking defense and other payloads into space. But America's northernmost state has that too, entering the high-tech aerospace business more than 25 years ago as it looked to diversify its oil-reliant economy. 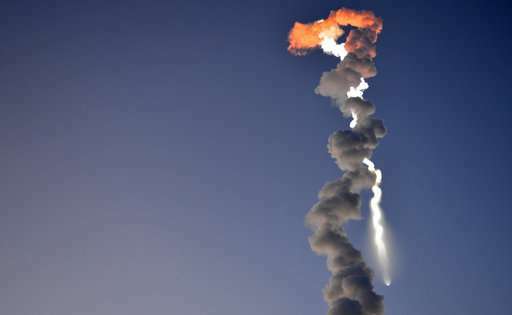 The state-owned Alaska Aerospace Corp. hit a low point after a rocket exploded at its launch site in 2014 amid a deepening state deficit. The governor later gave it an ultimatum: Become self-sustaining or shut down. Today, Alaska Aerospace has rebuilt its launch site and is again showing signs of liftoff. It is no longer confined to Alaska or government contracts, recently winning, for example, a deal with Rocket Lab to track the company's rockets and monitor its onboard systems in New Zealand. Gov. Bill Walker said he is impressed by the corporation's aggressive pursuit of contracts and its "transformation." His budget office recently freed $2.2 million in state money previously earmarked for the corporation for launch site improvements. "Two years ago, we had a failed rocket, and we had a destroyed facility, and we had no customers," Alaska Aerospace CEO Craig Campbell said. "We've turned the corner." Alaska sought to develop its aerospace sector in 1991 as states and private organizations were looking to capture a piece of a space industry that had once been the domain of NASA. Alaska Aerospace now runs one of 10 commercial launch sites in the U.S. that are regulated by the Federal Aviation Administration. Some are co-located with federal facilities or have buzzy partnerships. The anchor tenant at New Mexico's state-owned Spaceport America is Virgin Galactic. Campbell is tight-lipped about some of the business at Alaska Aerospace's launch site on Kodiak Island—about 250 air miles (402 kilometers) southwest of Anchorage in the Gulf of Alaska—because of proprietary concerns. But the remote site is well-positioned for polar launches, which often are used for communication and weather satellites and those that take images of Earth. An advantage Alaska has over major launch sites is a lack of wait times, said Micah Walter-Range, research and analysis director for the Space Foundation, a space advocacy organization. A boom in smaller satellites tied to cheaper hardware components and other factors also presents opportunity, he said. 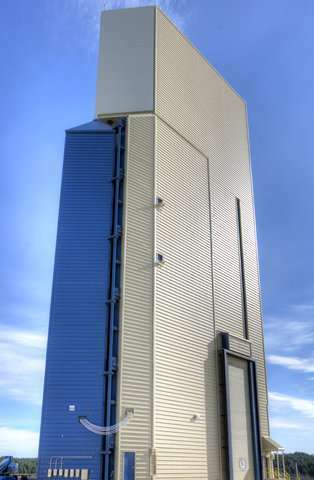 The corporation launched its first rocket in 1998. It had another 16 launches through 2014, when a rocket carrying an experimental Army strike weapon was blown up after taking off from Kodiak Island. All of the launches it conducted were for the federal government, including NASA. The blast, which damaged launch site facilities, proved pivotal, coinciding with a ballooning state deficit and a diminished appetite among some Alaska legislators to put more state funding toward what some at that time saw as a money-sucking novelty. State Rep. Scott Kawasaki, a frequent corporation critic, said Alaska Aerospace officials for the past 10 years have said things will be "wildly great." But Kawasaki said the reality has never measured up. Still, the Fairbanks Democrat said he's willing to give the corporation time to prove itself amid a changing industry. "I just don't want them to keep overpromising because this Legislature doesn't have the money to bail them out in the future," Kawasaki said. 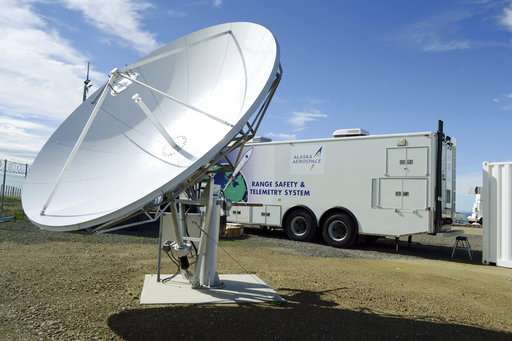 Besides rebuilding its launch site, Alaska Aerospace opened an office in Alabama to try to better compete for aerospace business and landed a multiyear contract, worth up to $80 million, with the federal Missile Defense Agency to test its system for detecting incoming missiles. In addition, the corporation is evaluating building a second launch site closer to the equator so it can handle a wider range of satellites. Campbell called equatorial launches the "predominate orbit to meet the majority of the Earth's population." Still, Alaska Aerospace remains at a critical juncture, with several launches lined up for this year and next and high hopes for becoming more profitable and further establishing itself in the industry. Campbell's goal is to have at least six launches a year. 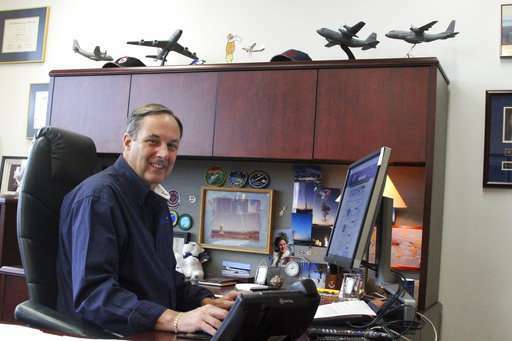 So far this year, he expects two as part of the Missile Defense testing program and one involving a company working on a small rocket. He declined to identify the company. The corporation has 16 staff, down from 44 when Campbell took over. It also has a contingency of about 14 contractors, many of whom are former corporation employees, he said. State Rep. Louise Stutes, a Kodiak Republican, said an influx of activity surrounding a launch boosts the region's economy, though she noted the need to at times close roads for activities at the site has rankled some residents. About 13,500 people live in the Kodiak Island Borough. Stutes, one of two nonvoting legislative members on the corporation's board, called the facility first-class and a great asset. "You just think, 'Oh my God. This is in Kodiak?'" she said.